Deirdre Dale was last seen on February 24, 2001, wearing bell bottom jeans, black leather jacket, and purple Sketcher shoes with thick white soles. Deirdre Dale was 5'4" tall and 120 lbs. 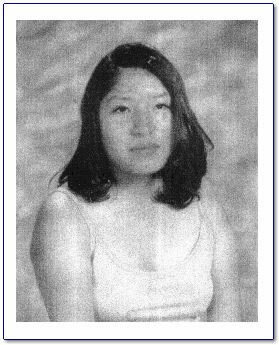 Deirdre's body was found on March 03, 2001 in a ditch between Grants and Thoreau, NM. If you have any information relating to the circumstances or assailants in the murder of Deirdre Dale please contact the FBI in Albuquerque, NM at (505) 224-2200 (24hrs), the FBI Resident Agency in Gallup, NM at (505) 726-6000, Crimestoppers at 505-843-STOP or email us. You may remain completely anonymous and receive a reward for your assistance. Please click here to view a memorial page for Deirdre Dale.